This little storage box is adorable. I bought it for my son's girlfriend who is an artist and she appreciated it very much. It's very colorful and fun and adds to Eclectic Décor perfectly! 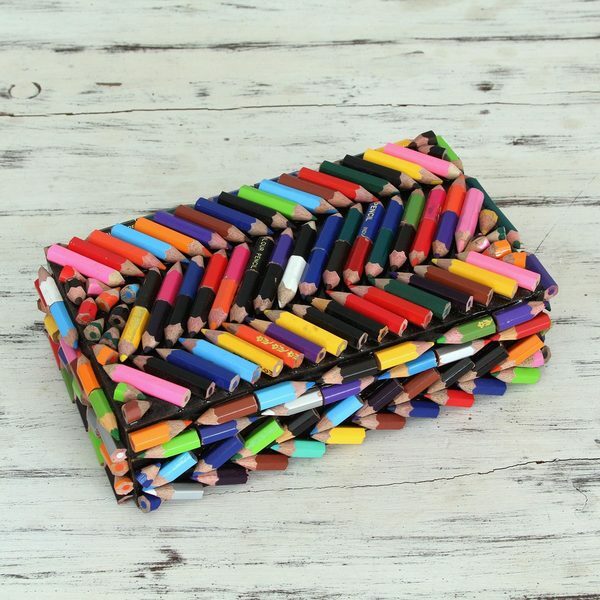 Colorful zigzags bring dynamic energy as multicolor pencils align on this decorative box. Presented by Mohd Tanveer, the wood box is crafted by hand by upcycling colored pencils from India.